Q: What is Anti Radiation - Heart Guard ? Ans: Anti Radiation- Heart Guard is a non-drug solution for the treatment of hypertension and available without a prescription & without any side effects, just keep the card with yourself in an ordinary way & you can see the difference yourself. You will be less prone to the frequent headaches & Hypertension. It is emerging as one of the most powerful natural methods for lowering blood pressure and regulating the cardiovascular system. Many products in the market help monitor blood pressure, but Anti Radiation- Heart Guard will also help to improve high blood pressure. A wide range of medications are available to treat high blood pressure. You and your health care provider may have to try several different drugs before you find the one that works best for you. Medicine can help control your high blood pressure as long as you keep taking it however Anti Radiation- Heart Guard is proven & is effective for people with high blood pressure, whether they were taking medication or not. 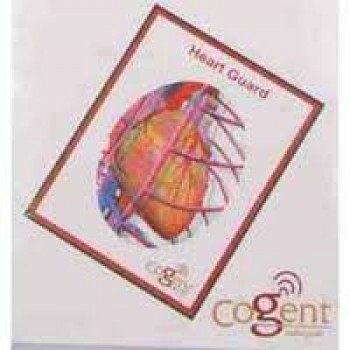 Q: How does Heart Guard & it's packaging looks like ? Ans: The product - Heart Guard comes in blister packing, enclosed in flap includiing heart guard & booklet containing FAQ's & product details. Q: How to use Anti Radiation- Heart Guard ? Ans: You can use Anti Radiation- Heart Guard without any side effects as it is to be carried in a very normal way. 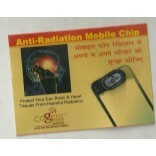 Put Anti Radiation- Heart Guard in your pocket which should be near to your heart . Ans:The product - Heart Guard comes in blister packing, enclosed in flap includiing heart guard & booklet containing FAQ's & product details. 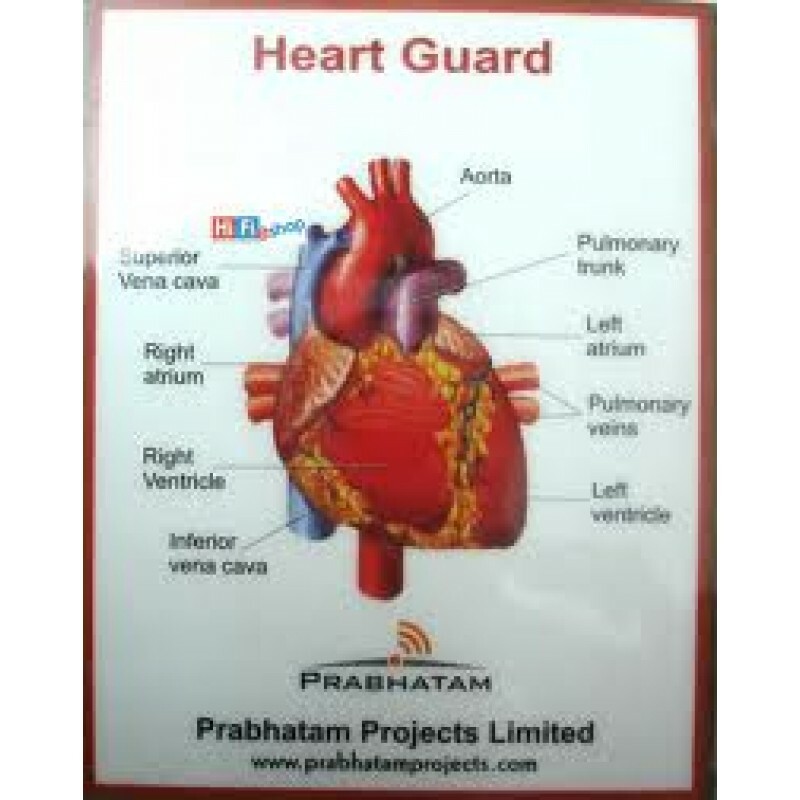 Q: How to check with Anti Radiation- Heart Guard? Ans: Measure your blood pressure & note down the readings without Anti Radiation - Heart Guard.Put Anti Radiation- Heart Guard in your shirt pocket, within a few minutes, the muscles surrounding the small blood vessels in your body relax, blood flows more freely, and your blood pressure is significantly reduced.After 10-15 minutes observations can be recorded, analyzed from the previous reading & effective results can be seen. Q: Can Anti Radiation- Heart Guard be used in medication ? Ans : Yes, Anti Radiation- Heart Guard is not a drug & will cause no side effect. 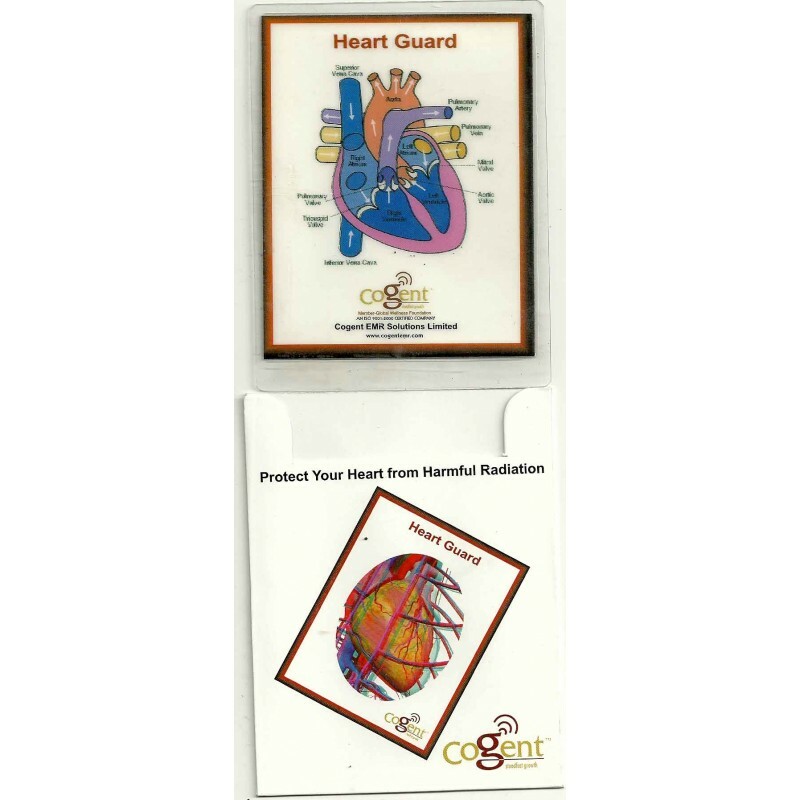 Whether you are already taking anti-hypertension medication or trying to lower blood pressure with diet and exercise, Anti Radiation- Heart Guard might just be the solution you need. It is not recommended to be taken as a prescriptive medicine or drug as it is for external use & will not affect the other medications. Q: I have no symptoms of hypertensions then why should I use Anti Radiation Heart Guard ? Ans: Of the one in every four adults with high blood pressure, 31.6 percent are not aware they have it. If left untreated, high blood pressure can lead to life-threatening medical problems such as stroke, heart attack or kidney failure. Remember that prevention is always better than cure; life is not certain but to protect & live it healthy is in our own hands. Q: Can Anti Radiation- Heart Guard lower my blood pressure too much ? Ans: No. Anti Radiation- Heart Guard doesn't reduce blood pressure for people with normal pressure levels, but rather brings it towards the optimal & healthy range for people with high blood pressure. It relaxes the blood vessels for healthy functioning of the heart. 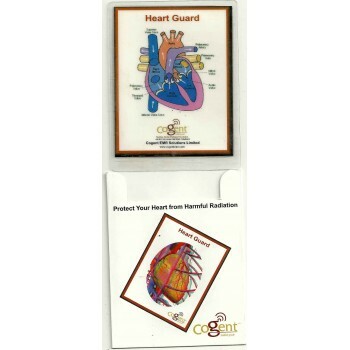 Q: Are there any safety certifications associated with Anti Radiation- Heart Guard ? Ans: Yes, please check the links below: 1. CE certificate notified by ASCB(E) - United Kingdom Description of CE certificate 2. ROHS certificate notified by ASCB(E) - United Kingdom Description of ROHS certificate 3. S MARK certificate notified by ASCB(E) - United Kingdom Description of S MARK certificate. Q: What is the expected life of Anti Radiation- Heart Guard ? Ans : You can use Anti Radiation- Heart Guard for life time but make sure that the card is kept in good conditions & there is no damage ascertaining to the working of the card which may be detrimental to the positive & effective results. Q: How often should I use Anti Radiation- Heart Guard ? Ans: The card shouldm be carried out in an ordinary way in your pocket, however for best results put in the pocket nearest to your heart as this will lead to efficient working of the card against the protection from EMR & hence relaxation of blood vessels. Results shall vary from person to person. Q: Where can I get Anti Radiation- Heart Guard ? Ans: Weare having distributors all over, you can let us know your complete contact details and we shall be taking care for all your concerns. Q: What customers say about Anti Radiation- Heart Guard ? Ans: I am really so much happy, even my doctor is positive over my blood pressure reading since I've started Anti Radiation- Heart Guard, and has recommended it to several of his patients. Q: What is Blood Pressure? What is the optimal reading ? Ans: Blood pressure is a measurement of the force your blood exerts on blood vessel walls as it travels through your body. Your blood pressure reading is expressed with two numbers - for example, 120/80. The first number, known as systolic blood pressure, is a measurement of the force your blood exerts on blood vessel walls as your heart pumps. The second number, known as diastolic blood pressure, is a measurement of the force your blood exerts on blood vessel walls when your heart is at rest between beats. Optimal blood pressure is considered 120/80 or lower for people over age 18. A blood pressure reading consistently higher than 120/80 is considered pre-hypertension. High blood pressure or Stage One hypertension is a measurement of 140/90 or higher. Q: What is hypertension ? Ans: Hypertension which is also referred to as High blood pressure, is a common disorder in which blood pressure remains abnormally high (a reading of 140/90 mm Hg or greater). Accelerated hypertension is associated with headache, somnolence, confusion, visual disturbances, and nausea and vomiting (hypertensive encephalopathy). Q: What is the leading cause of high blood pressure ? Ans: High blood pressure linked to Heart (Cardiovascular) diseases, currently is the leading cause of death in the western world with over seven hundred thousand deaths in the U.S. alone annually, and has an associated risk due to Electromagnetic field. EMFs are not blocked or weakened by trees, walls, buildings, or other structures. Like X-rays, they pass through these objects and into our bodies - disrupting normal cellular function and biological processes. Review reveals a relationship between genetic damage, cancer, leukemia, neurodegenerative disorders, blood brain barrier linkage, and hormonal disruptions to electromagnetic radiation. EMR exposure leads to functional disturbances of the central nervous system such as headaches, increased susceptibility to fatigue, increased irritability, dizziness, sleepiness, sweating, concentration difficulties, memory loss, depression, emotional instability, mild limb tremors, cardiac arrhythmias, increases in blood pressure, and appetite loss. Q: How is high blood pressure harmful ? Ans. High blood pressure is one of the most common causes of stroke because it puts unnecessary stress on blood vessel walls, causing them to thicken and deteriorate, which can eventually lead to a stroke. It can also speed up several common forms of heart disease. When blood vessel walls thicken with increased blood pressure, cholesterol or other fat-like substances may break off of artery walls and block a brain artery. In other instances, the increased stress can weaken blood vessel walls, leading to a vessel breakage and a brain hemorrhage.